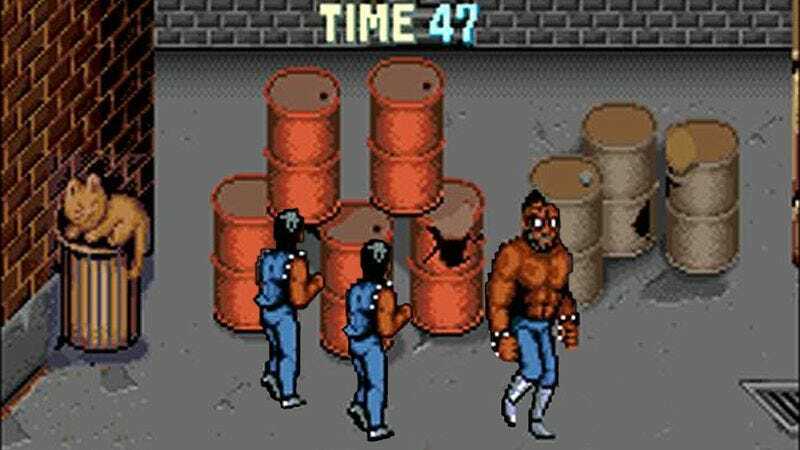 LEVEL 5—A group of video game henchmen patrolling the warehouse hideout of their criminal mastermind boss informed reporters Wednesday of their upcoming plan to take a brief break from making their rounds to meet up around a stack of five highly explosive barrels. “When we considered the best place to exchange the latest information and warehouse-guarding strategies, we all immediately thought of the spot by the large red barrels, the ones with the large flame symbols on them to indicate flammability,” said one of the identically dressed guards, citing the barrels’ convenient central location, which each of the henchmen happened to walk past at one point or another during their regimented back-and-forth patrols. “The plan is to sync up, gather together near the barrels, and then remain there for approximately eight seconds to share input, feedback, and ideas before resuming our guard duty. If all goes well, we’d likely consider returning to the same spot for quick check-in meetings every minute or so.” Another henchman, the lone one without a shirt, added that the group planned to go forward with their scheduled meetup regardless of whether or not they heard any loud sounds.